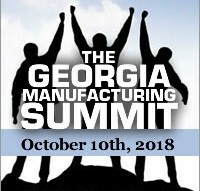 Over 800 industry professionals will gather to discuss the issues most important to Georgia manufacturers at the 4th annual Summit. Business leaders will have the unique opportunity to network with their peers, share their insights, and learn from top level keynote speakers. Over 30 Industry Experts from Gulfstream, KIA, Southwire, Thrush Aircraft, Nisshinbo, Kumho Tire, Pratt & Whitney, Siemans, and Chart Industries will address important issues impacting the manufacturing industry. General Registration closed on Oct. 3rd but there are a limited number of onsite tickets available on a first come first serve basis. We are excited to announce that Cloud and Wire is a new sponsor for the 2018 Summit and will be providing industry leaders unique training in the area of technology. 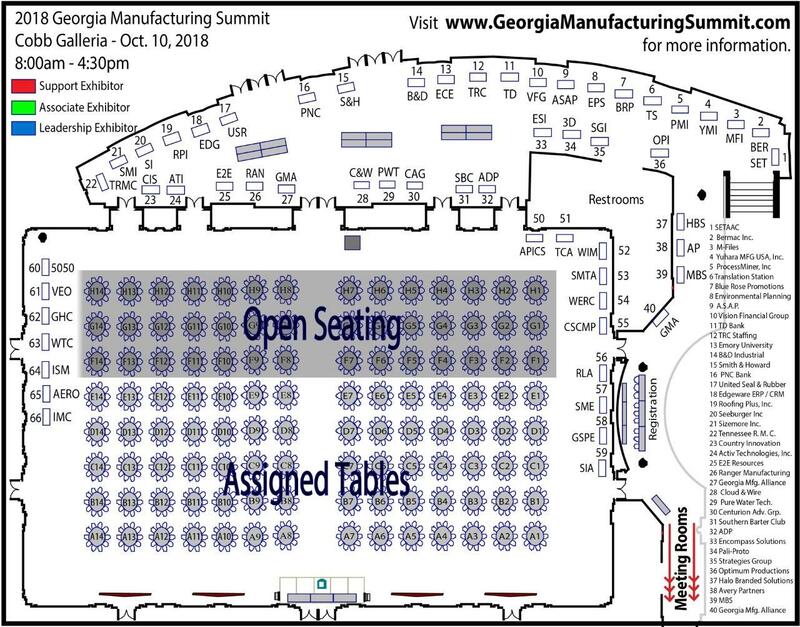 Cloud and Wire has extended the Disruptive Technologies Tour as part of the Educational Sessions at the Georgia Manufacturing Summit. All attendees will have a unique opportunity to network with CEOs and meet founders of the world’s leading companies, top speakers, exciting startups and influential tech investors. A special feature of the Summit is our People of Manufacturing Awards which recognizes the people that go over and above in the manufacturing community. Click below to see our 2017 Winners. The 2017 Summit had a power packed agenda, including several break-out training sessions led by 30 industry professionals addressing the challenges faced by manufacturers in Georgia. Each year we highlight a specific industry segment. In 2015 we showcased the transportation sector. The keynote speakers were Randy Jackson, CAO of Kia Motors Manufacturing Georiga and Phil Horlock, CEO of Blue Bird Corporation. 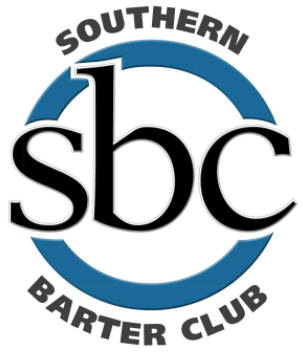 In 2016 our theme was "Building a Stronger Georgia" and the keynote speakers were Kathleen Edge of Southwire and Steve Hillis, CEO of Beaulieu Carpets. In 2017 we highlighted the food and beverage industry. Debra Shankle, Vice President of Supply Chain of Coca-Cola North America was the breakfast keynote speaker and Rob Dugas, Vice President, Chief Procurement Officer of Chick-fil-A, Inc. was the lunch keynote speakers at the 2017 Georgia Manufacturing Summit. 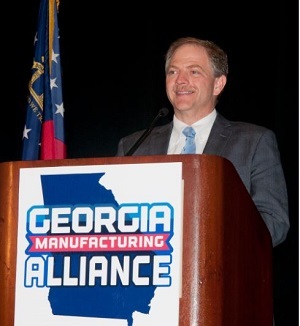 “The Georgia Manufacturing Summit creates local connections and builds a strong sense of community in this industry. By supporting each other, manufacturers are growing their businesses and positioning Georgia as the leader in the re-birth of manufacturing in our county." Click These Buttons Below to Learn More!